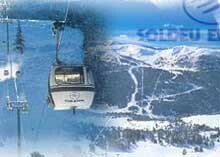 Part of the large Grandvalira ski area, Soldeu is a good value resort with fairly reliable snow and plenty of sun. It boasts one of the most highly rated ski schools in Europe and, with most of the pistes catering to beginners and early intermediates, it's a perfect place to learn. For advanced skiers and snowboarders there isn't so much to play with, although you can get a snowcat tow to the Piz de Encampanada for good off-piste. There is also cheap heli-skiing on offer and a decent enough snowpark . In the resort itself there's a good selection of eateries at reasonable prices, and the atmosphere is fantastic, far out-charming Soldeu's Andorran relatives. In spite of a less-than-raucous nightlife it is still a lively village, but mostly bar-based. 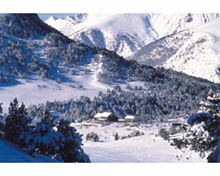 One of the most popular resorts in Andorra, if not the Pyrenees, Soldeu has a lot going for it. Impressive ski area. 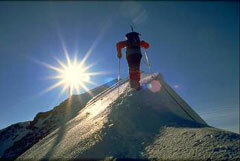 Good ski schools with native English speakers. Lively centre.